Rock, pop, dance and world music: Pohoda is a divers orientated festival. Every year, the local airport of Trenčín gets transformed into the festivals’ home of Pohoda. Get ready for Pohoda! A 3-day festival, located in Trenčín, a town nearby the Czech-Slovak border. Pohoda is not only known for its’ diversity in music genres, but also because of the colorful dressing and friendly ambiance. Don’t be surprised by the really young ánd really old visitors: Pohoda is intended for the whole family. The festivals’ capacity lies around 30.000 visitors and it has been an outsold event for years. Pohoda 2019 takes place from July 11 to 13, 2019. 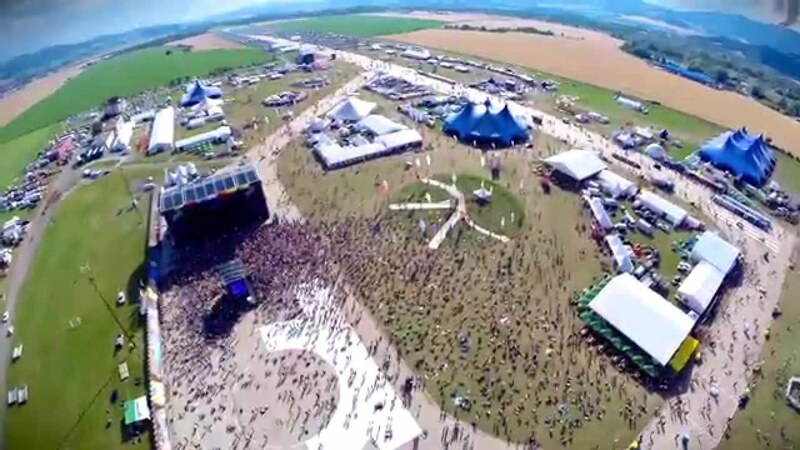 The Pohoda Festival takes place at a local airport, 3 kilometers away from Trenčín, a Slovakian town nearby the Czech-Slovak border. Trenčín lies in the north temperate zone and has a continental climate. Therefore, summers are mostly quite hot. In the city centre of Trenčín you will find a lot of buildings originated from the Middle Ages. The castle way above town, is a perfect place to visit for example. Pohoda has a easy accessibility, since Trenčín is located on the main road and within the railway transportation corridor. What do you I have to know? The fastest way to travel to Pohoda is a plane to either Bratislava or Vienna and then taking a transfer to the festival site. In cooperation with Cheapflights we help you find the cheapest flights. The website compares every flight and will select the most favorable offer you can get. When is Pohoda Festival 2019? Pohoda takes place July 11 to 13, 2019. What is the minimum approved age of a Pohoda visitor? Children under 12 years of age (including) have a free entrance. Children must be accompanied by their parent or a legal guardian and it is advisable to bring an ID to verify their age (e.g. an insurance card). A 3-day-ticket entitles you to access the festival from Thursday, July 10. The last acts will perform during the night of Saturday , July 13 on Sunday, July 14. Everyone is requested to leave the festival site on Sunday morning. What is the currency in Slovakia? In Slovakia the currency is Euro. What are the phone numbers of emergency services in Slovakia? In Slovakia it is sufficient if you have an identity card with you. What kind of plugs do they use in Slovakia? In Slovakia they use European plugs, so you don’t have to bring universal plugs. You can drink water from the tap, as long it is not indicated you can’t. But we advice you to buy water bottles from the supermarket.